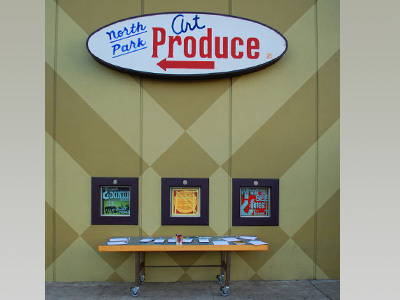 Stone Paper Scissors, Eveoke Dance Theatre, TranscenDance Youth Arts Project, North Park Main Street and the Cultural Worker joined forces to develop a neighborhood initiative called ART @ the Core: Building Community. 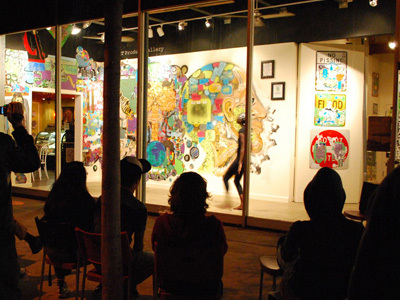 Art @ the Core uses art as a catalyzing force for positive change. 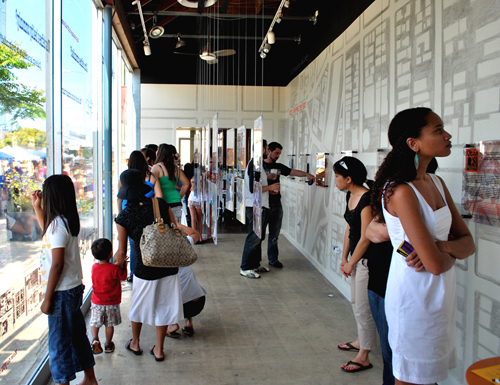 Our goal is to increase access, engagement, and participation in the civic process through cultural development. 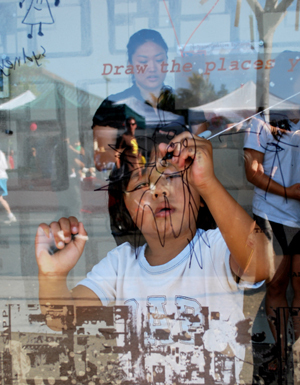 We seek to identify and utilize community resources to build sustainable, representative, inclusive processes that support and expand constituencies that enhance the cultural and economic vitality of the community. 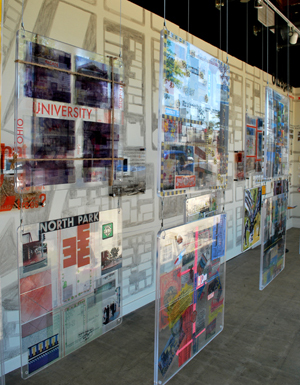 The gallery installation, Voices: Mapping the Hood, reflects the many rich layers of community and neighborhood history of North Park and City Heights. 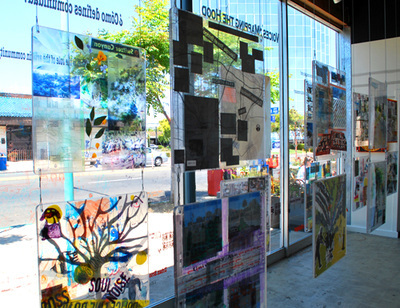 Envisioned as an interactive collage, it is a giant pop-up book that tells a story you can walk through and contribute to. The idea was to physically, metaphorically, and cognitively “Map the Hood” with all our various collaborating partners, architecture students, professional artists, children, teens, and community members. How does one’s sense of community change with the evolving physical, social and economic vitality of a neighborhood?What are our responsibilities and opportunities as artists in that transition?What are the things we see in a neighborhood that represent/reflect culture and community?How do we as individuals add to the cumulative cultural history of a neighborhood? As artists we make meaning and create culture. We are in the business of building creative community. 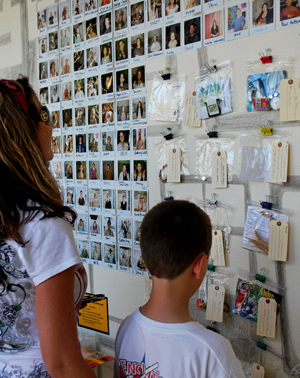 The notion of the citizen artist assumes a responsibility to participate in the cultural life of the community, helping to create opportunities and generate interest by others in the civic process and in culture building. It is the open-ended continuous call, the responsibility of artists, writers, philosophers, critics, patrons, and art-appreciators to participate in the process, to push and support and challenge each other. If we don’t, who will? It is everyone’s societal privilege/ responsibility to be a culture maker, a community builder. If not you, who? 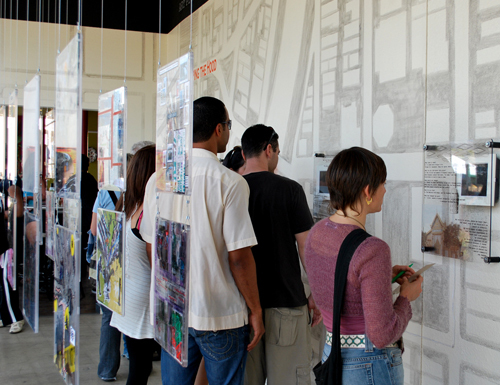 The project is funded by ArtWorks for San Diego, a new arts & culture initiative of the San Diego Foundation. For more info visit www.artcoresd.org (site retired).